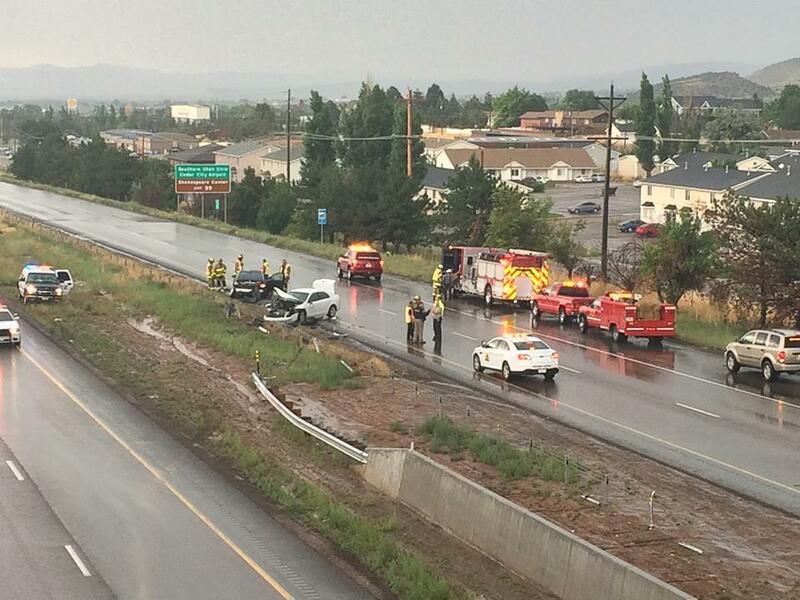 CEDAR CITY – A Utah Highway Patrol trooper remains in critical condition after being hit by a hydroplaning car Monday. He was responding to an accident on southbound Interstate 15 through Cedar City when the incident occurred. Around 3 p.m. Monday, while responding to a Ford passenger car that had slid off the road and hit the cable barrier near milepost 58, UHP Trooper David Schiers was outside of the crashed vehicle and talking to the driver. There was heavy rainfall over the Cedar City area at the time, causing water to pool on various parts of the roadway. While Schiers was talking to the Ford’s driver, a black BMW hydroplaned and crashed into the Ford, pushing the car into Schiers and pinning him underneath it. Witnesses to the crash began calling 911. Some of those calls were released by the Utah Highway Patrol Wednesday. One man who called 911 was with the trooper. Multiple agencies rushed to the scene to aid Schiers, who was ultimately removed from beneath the car by the Jaws of Life, according to a Cedar City Police press release. Schiers was initially taken to nearby Valley View Medical Center and then flown to Intermountain Medical Center in Murray. His injuries include fractures to his ribs, back and legs as well as a punctured lung. 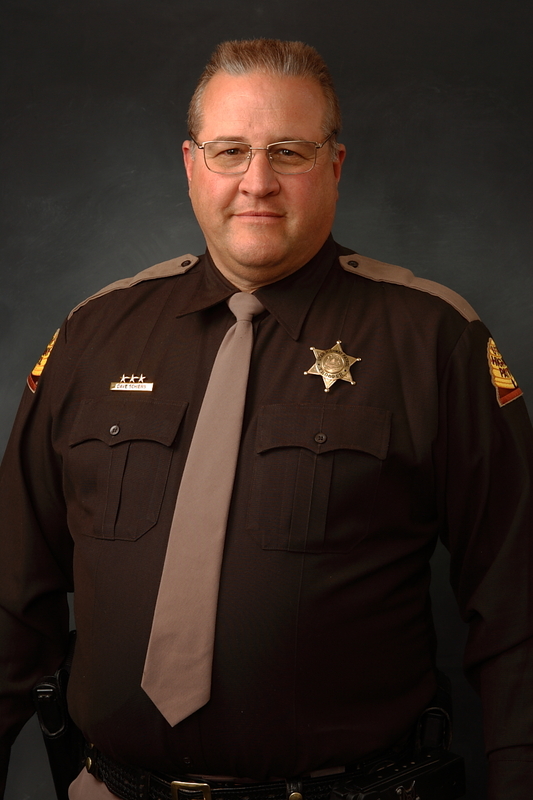 Schiers remains in critical condition, UHP Sgt. Todd Royce said Thursday. “We’re hoping for a full recovery, but right now we’re not sure,” Royce said. In the wake of the incident, the Utah Highway Patrol is urging people to pay attention when they see a trooper, or any law enforcement officer, pulled over on the side of the road. “Please, please watch out for us out there,” Royce said. Each year, an average of about 20 UHP troopers are involved in crashes while pulled over on stops, Royce said. Motorists are required by law to move into the lane farthest from the stopped trooper when they pass. If you can’t get into the other lane, Royce said, then at least slow down and move over as much as you can. “It’s up to the public to keep us safe when we’re pulled over,” he said. The Cedar City Police Department is still investigating Monday’s crash. Information has not yet been released regarding whether the driver of the BMW will face any charges.